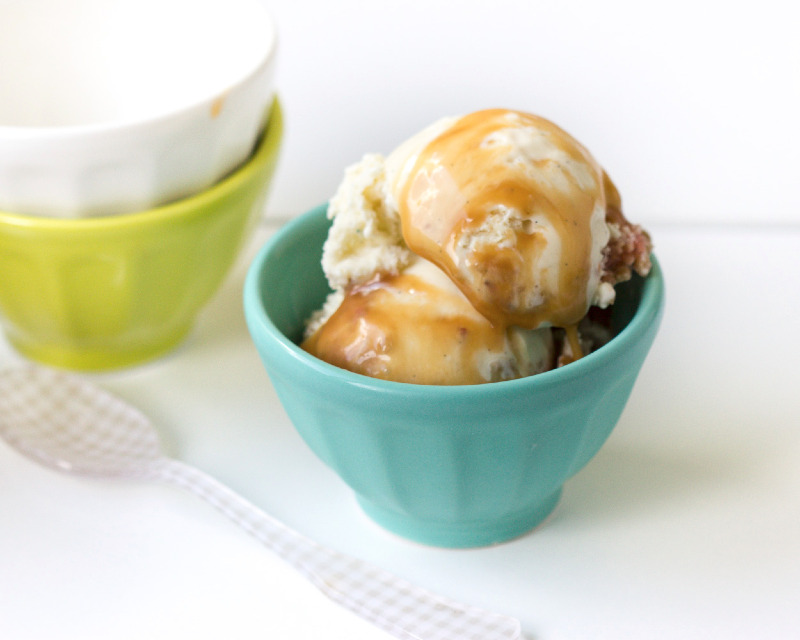 Caramel has the ability to take an ordinary dessert and elevate it to extraordinary. The addition of sea salt...sublime! Who would guess that it takes only 15 minutes to make at home? Served over ice-cream or alongside pie, you have a quick and easy dessert. In a small saucepan over low heat, add cream and salt. Stir to dissolve and set aside. In a saucepan, add the sugar, water, and corn syrup. On medium heat, gently stir to dissolve the sugar, taking care not to splash up the sides of the pan. Once the sugar is dissolved, turn the heat to high, stop stirring, and attach a candy thermometer if using one. Bring the mixture to a boil. Add the butter, then the cream. It may bubble up slightly, so take care. Continue stirring off heat, incorporating the caramel with the butter and cream until you have a nice rich color. Allow to cool. Store covered in the refrigerator for about 2 weeks. Continue boiling until mixture turns a rich caramel color and registers 300F on the thermometer. Remove from heat. Color should look like this. Add the butter, then the cream. It may bubble up slightly, so use caution. Allow to cool. Store covered in the refrigerator for about 2 weeks. Decadently delicious!